Thinking back to my favourite beauty discoveries over the last few years ; one product stands out for me and it was a surprising one. 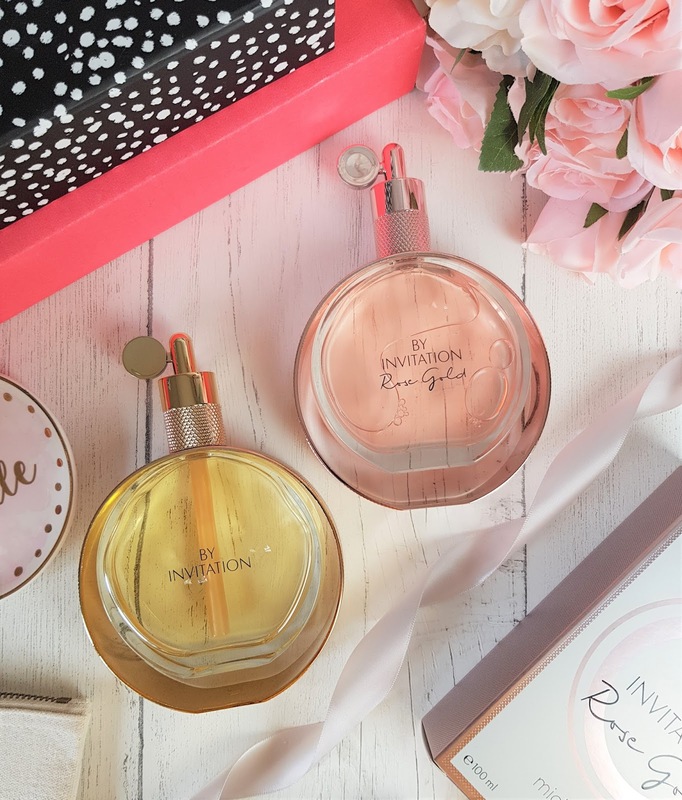 The original scent; By Invitation by Michael Bublé was featured on the blog (here) back in 2016 and I remember even to this day; when it first landed scoffed a little inside. Y'see I was never a celebrity scent fan. I'm a YSL or Bulgari kinda gal. Somehow I developed an expensive perfume habit but By Invitation by Michael Bublé broke me. The original scent was luxurious and had some of my favourite base notes of vanilla, patchouli and sandalwood and within a matter of weeks By Invitation became my go-to everyday fragrance. Back to 2018 and the Bublé fragrance team have developed their second scent; By Invitation Rose Gold by Michael Bublé. 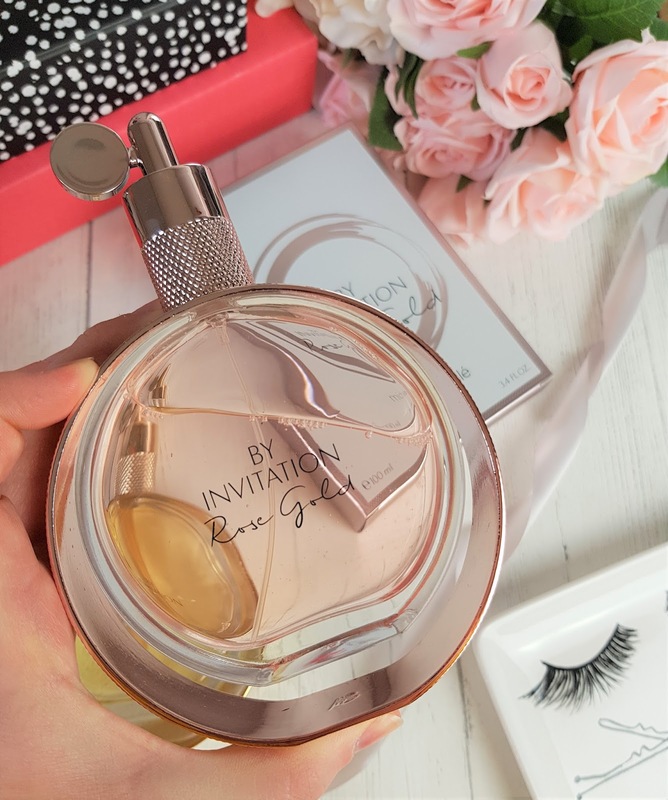 Perfectly timed for Spring, By Invitation Rose Gold by Michael Bublé is again a floral, oriental and feminine scent that is not a million miles away from the original but with just that something extra. Top Notes - Radiant magnolia, red fruits and granit pear. Middle Notes - Rose, peony heart & black plum. Bases Notes - A lingering praline and vanilla base with a hint of precious spice. Rose Gold has become my weekend scent for Spring and each time I wear it, it evokes daydreams of exotic sunsets and candlelit dinners. It feels luxurious and stylish. My trusty YSL has been firmly pushed to the back of the dresser to make way for my Bublé duo as the bottle design on both scents is very clever, stylish and sleek. The Rose Gold edition packaging feels very on-trend with it's chic, rich rose toned metal and fashionably elegant box. 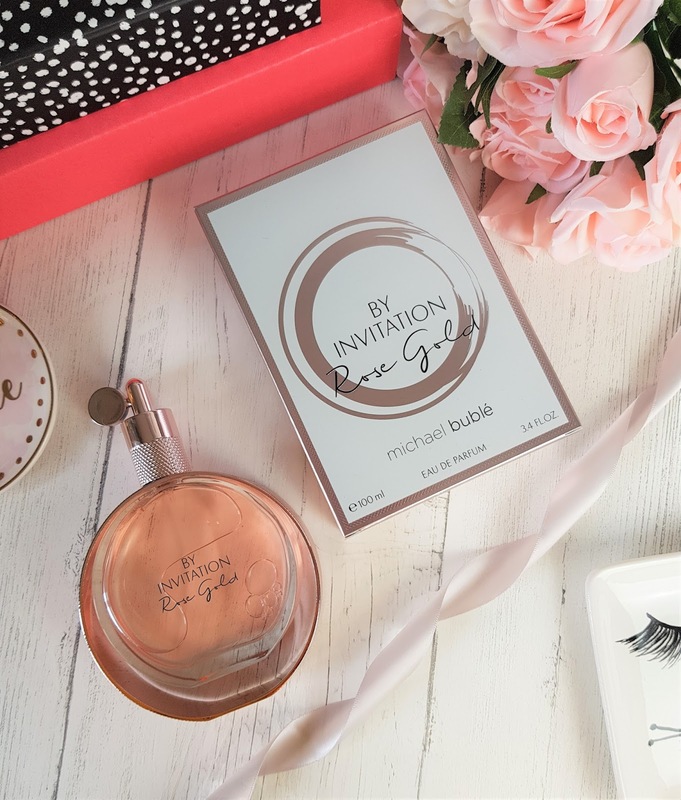 By Invitation Rose Gold by Michael Bublé would make the perfect addition to your perfume collection for Spring/ Summer 2018. Fancy adding it to your collection? You can buy By Invitation Rose Gold by Michael Bublé now (on sale) from Gordon's Chemist online or direct from MichaelBubléPerfume.com.